Superdry men’s Limited Icarus zip hoodie. Featuring a drawstring adjustable hood with a warm fleece lining, two front pockets and ribbed cuffs and hem, this hoodie will be a great addition to your wardrobe this season. 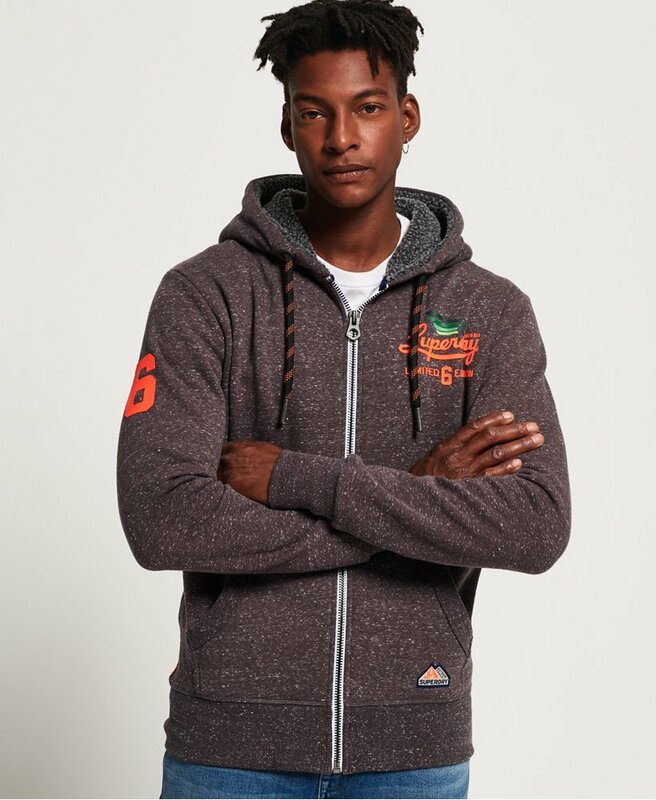 The Limited Icarus zip hoodie is finished with a high build Superdry logo on the chest, number detailing on the arm and a Superdry logo patch near the hem.